glossy card stock, and features 13 tree paintings done in watercolor on Yupo paper by Sandy. This calendar makes a great hostess, co-worker, neighbor, teacher or client gift. It's also a great stocking stuffer for all the tree lovers on your holiday list! 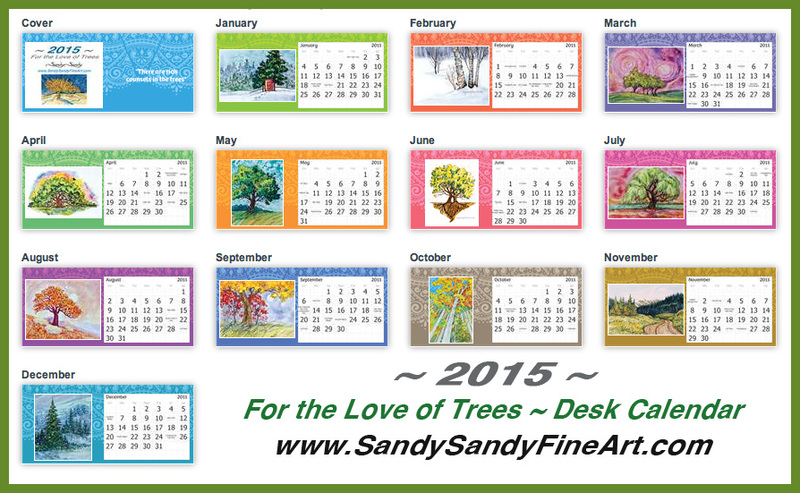 so purchase one or more FOR THE LOVE OF TREES 2015 Desk Calendars today! See "For The Love Of Trees" Wall Calendar.